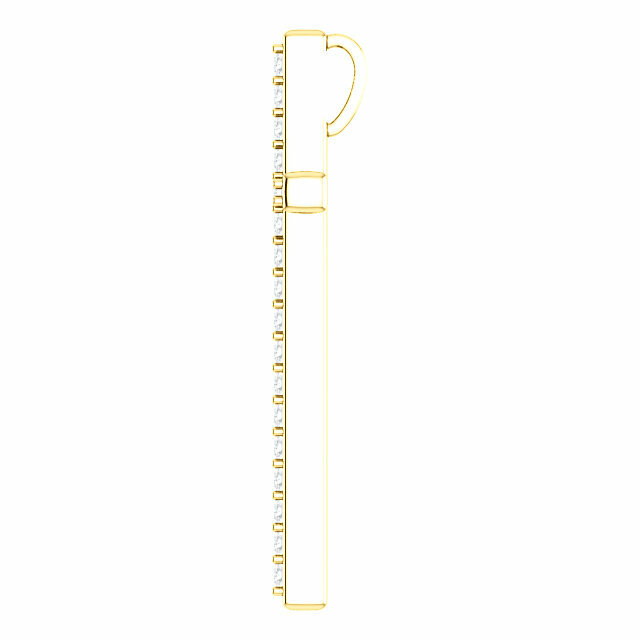 This unique diamond cross pendant crafted in yellow gold is set with 27 white, brilliant diamonds. The sparkle and light which emits from the brilliant cluster of facted diamonds is symbolic of the first resurrection, which is the resurrection of the Saints in Christ. "Blessed and holy is he that hath part in the first resurrection: on such the second death hath no power, but they shall be priests of God and of Christ, and shall reign with him a thousand years" (Revelation 20:6). The Bible teaches that the second death will have no claim over us, because we have passed on from death unto life by faith in our blessed Lord and Savior Jesus Christ. 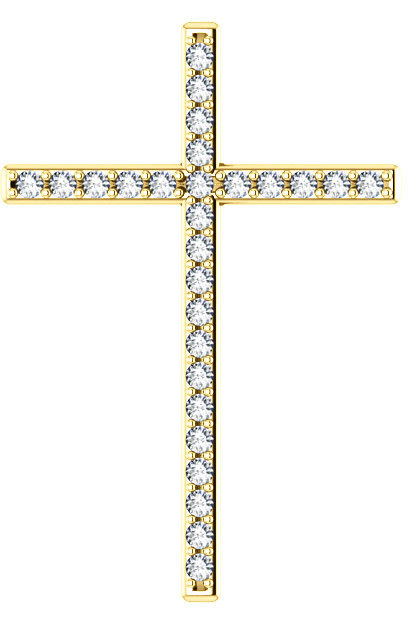 The diamond cross is made with 0.40 carats of diamonds in a variety of diamond color and clarity choices. 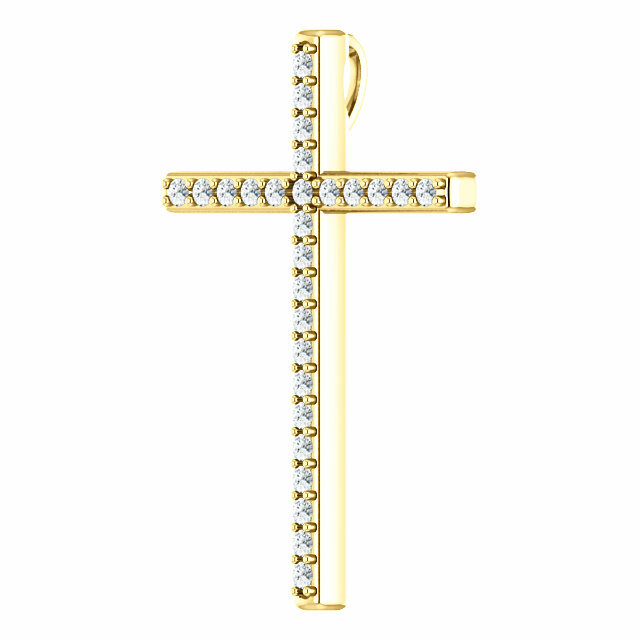 You can also choose to have your diamond cross pendant made in either 10k, 14k, or 18k yellow gold (also available in white gold or sterling silver, shown below). The cross measures 1 1/4" tall x 0.85" wide and includes a hidden bale/hoop which is concealed behind the cross for the utmost in aesthetics when worn. 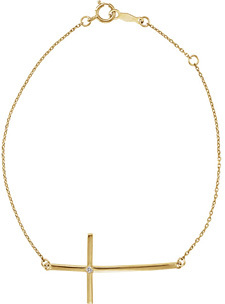 Add a matching yellow gold cable chain to the cross or wear it with one of your own choosing. 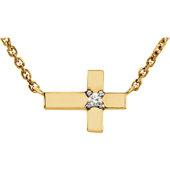 Many choices abound to make this the perfect diamond cross necklace from Apples of Gold Jewelry. We guarantee our First Resurrection Diamond Cross Pendant in Yellow Gold to be high quality, authentic jewelry, as described above.